When you stay at Motel 6 Des Moines South - Airport in Des Moines, you'll be near the airport and close to Blank Park Zoo and Salisbury House. 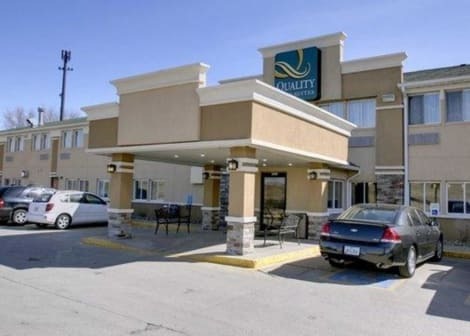 This motel is within close proximity of Fort Des Moines Museum and Grays Lake Center.Rooms Make yourself at home in one of the 97 air-conditioned guestrooms. 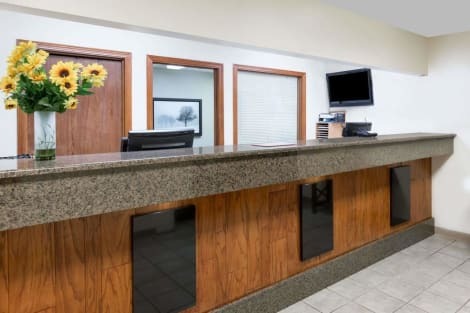 Wireless Internet access (surcharge) is available to keep you connected.Business, Other Amenities Featured amenities include a 24-hour front desk, laundry facilities, and coffee/tea in the lobby. Free self parking is available onsite. Enjoy a satisfying meal at Village Inn serving guests of Village Inn Motel Des Moines. Don't miss out on recreational opportunities including an indoor pool and a spa tub. Additional amenities at this hotel include complimentary wireless Internet access, gift shops/newsstands, and a television in a common area. 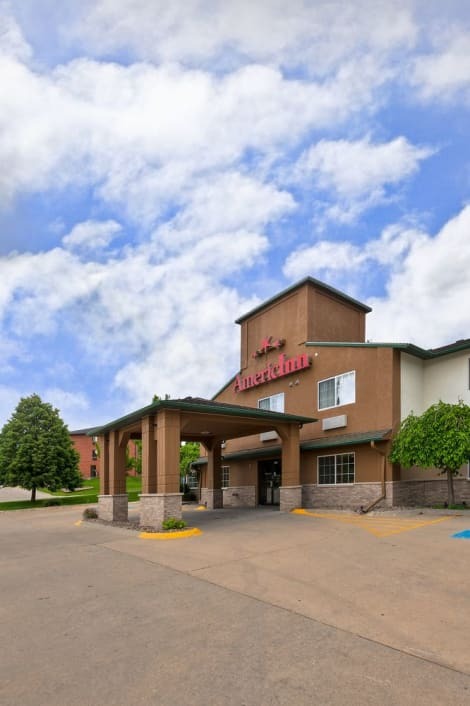 When you stay at AmericInn by Wyndham Des Moines Airport in Des Moines, you'll be near the airport, within a 15-minute drive of Wells Fargo Arena and Des Moines Civic Center. 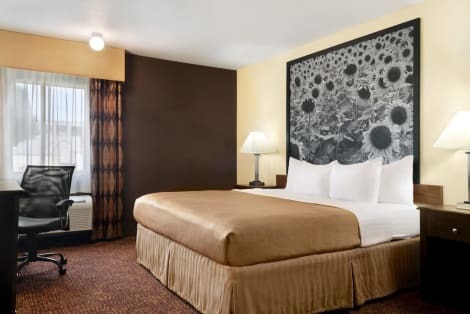 This hotel is 5.3 mi (8.5 km) from Iowa Events Center and 5.3 mi (8.6 km) from Drake University. lastminute.com has a fantastic range of hotels in Des Moines, with everything from cheap hotels to luxurious five star accommodation available. We like to live up to our last minute name so remember you can book any one of our excellent Des Moines hotels up until midnight and stay the same night.